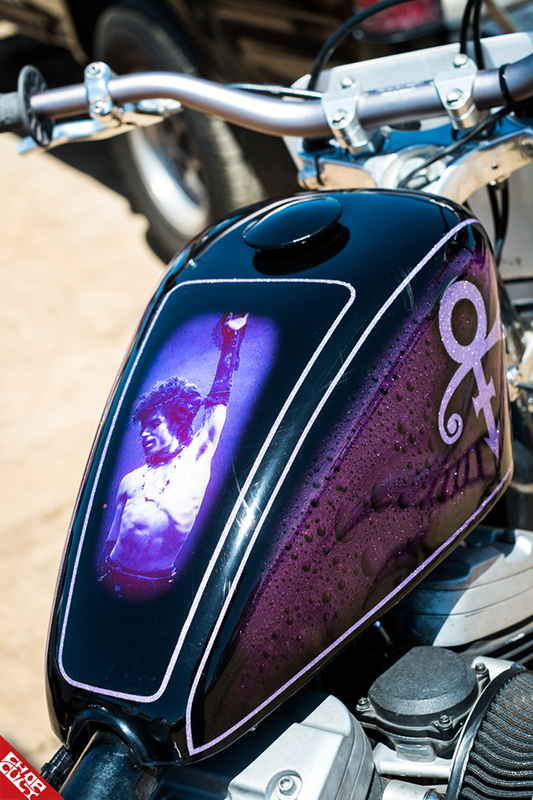 The Hippy Killer Hoedown is the event that kicks off the show season for us in California. 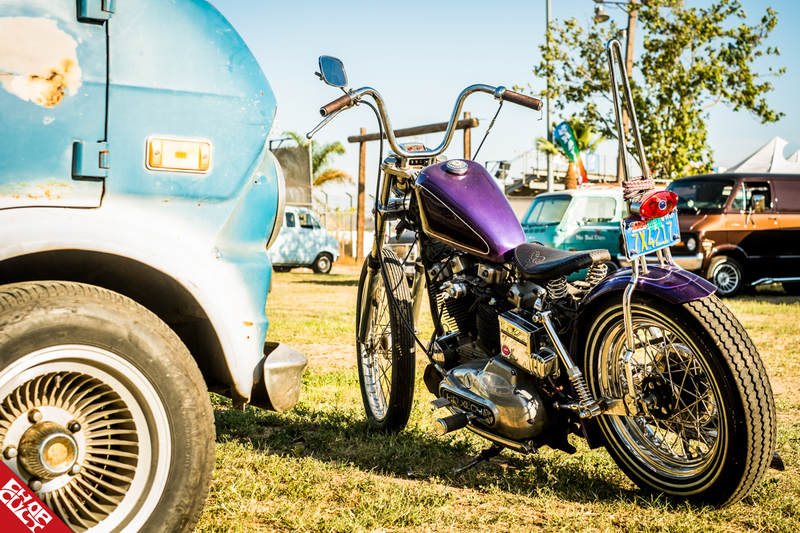 Kutty and Jamie Noteboom bring fellow car, motorcycle, and van enthusiasts together for a day of fun. For the first time in nine years, I was able to work the ChopCult booth instead of the back gate. It was really cool to witness the show come together before the main gates open. I can say that The Hoedown is one well-oiled machine because of the hard work by Kutty, Jamie, and their extended family and friends. Everyone has a role to do, and they do it well. 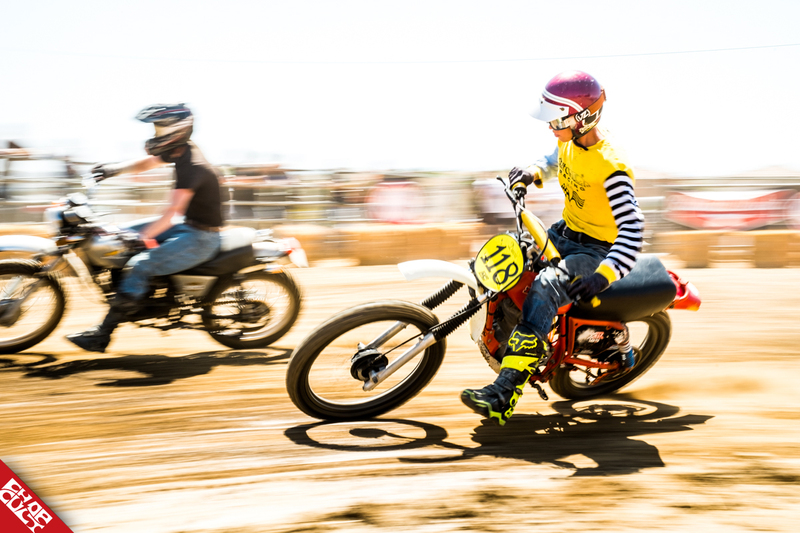 This year the Perris Fairgrounds allowed Kutty to incorporate flat track racing to the show. The Super Holligan team, Rusty Butcher's crew, Beerbreed Racing, Hell On Wheels, and more came together to provide some bar-banging excitement. It was awesome to watch the guys and gals rip around the track, but I don't know how they stayed out there all day long as the heat was brutal. The Notebooms do an excellent job of providing stellar vendors and live music. From The Frieghtshakers, Harlis Sweetwater Band, The Cornfed Project, Arkansas Toothpick, Justified Outlaws, Zeke, and Mr. James Intveld (my personal favorite), helped set the tone for the day. It's amazing that one could see custom rides, flat track racing, and an all-day concert for 15 bucks! What a killer (ha!) deal. Grab a cold one and check out Nick Faught's coverage for the day! Big thanks to everyone that supported the Notebooms, stopped by the ChopCult booth, Duane for being the best roadie, and to Nick for braving the heat to cover the show. Be sure to keep an eye out on the Hoedown's website for the next gathering! We'll see you there.